Elegant umbrella made from hard wearing silver nylon. 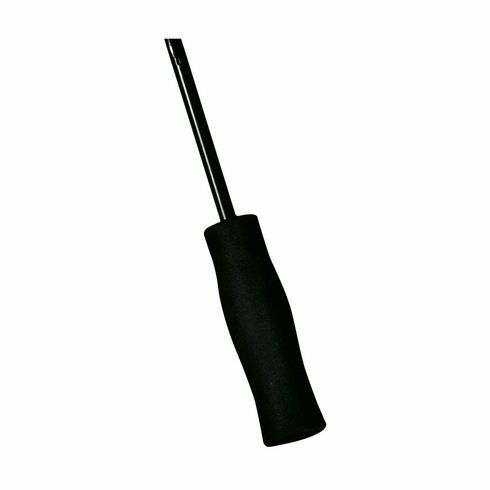 Has a light fibreglass frame, a sturdy metal shaft and nicely finished with a soft pre-shaped handle. 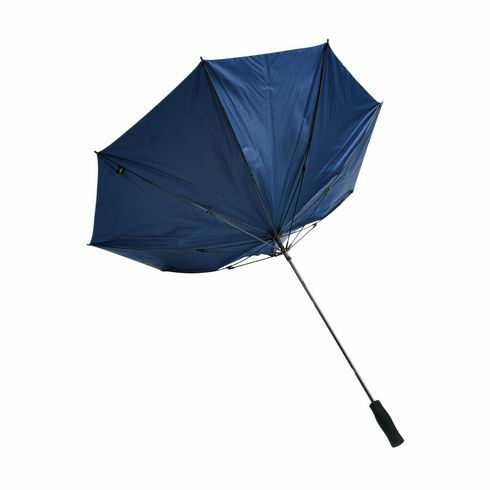 The SilverRain is storm proof, with its shape easily regained after a gust. The silver coloured nylon is safe in the dark and yet alsoprotects against the sun and heat during the day. With Velcro closure. Length 84 cm, Ø canopy 99 cm. 300 g.